The Lincoln Business Improvement Group has started its search for artists to decorate figures for the 2017 Lincoln Knights’ Trail. At an event at the Showroom on Thursday, September 15, around 30 artists interested in painting the figures, which will be installed across the city from May 20 to September 4, 2017, got together to discuss ideas for the knights. 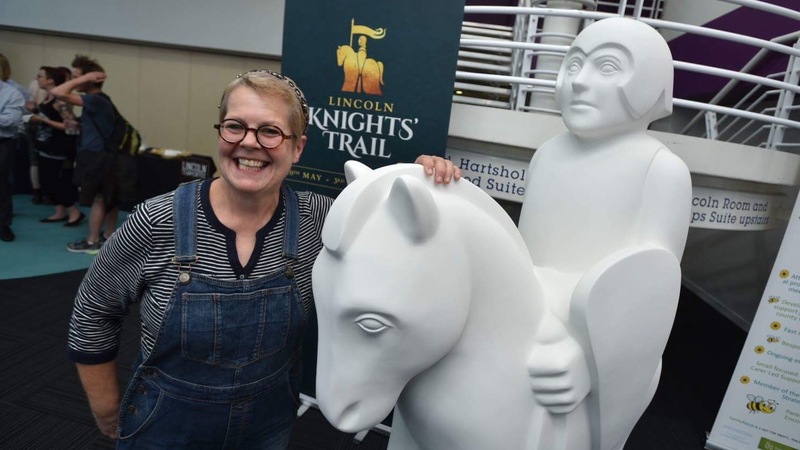 As previously reported, The Lincoln Knights’ Trail will create an exciting arts attraction and treasure trail with hand-designed figures linking iconic and secret Lincoln locations. Artist co-ordinator for the Lincoln Knights, Leah Goldberg. Photo: Steve Smailes for The Lincolnite. 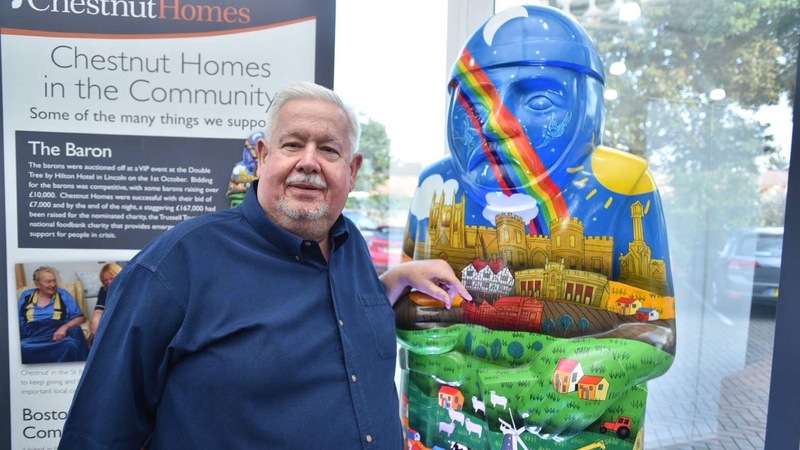 Lincoln BIG Chief Executive Matt Corrigan said: “We are now starting our search for professional and amateur artists who can come up with designs for the knights. “In November, sponsors will be invited to view and be consulted on designs submitted by local artists. Peter Segasby painted a baron last year. Photo: Steve Smailes for The Lincolnite. The knight sculptures was created by Wild in Art’s Creative Director Chris Wilkinson. Artist co-ordinator for the project, Leah Goldberg said: “After the success of the Lincoln Barons’ Charter Trail I was asked to be the co-ordinator for this trail too. Joanne Botterill, an artist hoping to work on one of the figures said: “It really appeals to me to create a strong female Lincolnite on a knight. 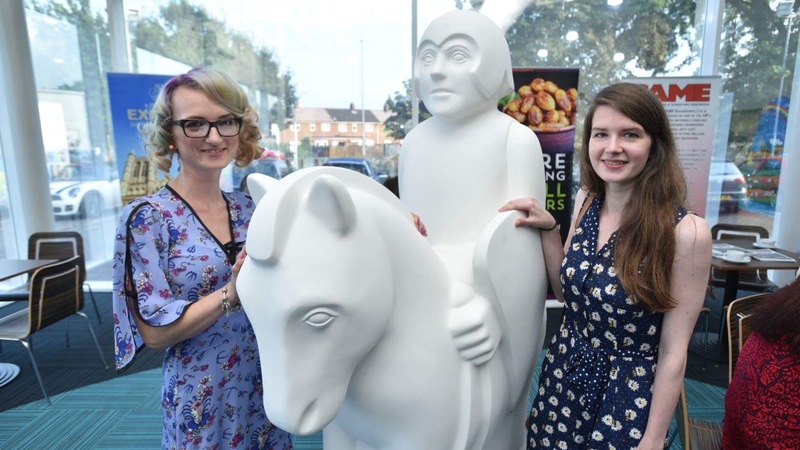 Left, Joanne Botterill and Rosie Ablewhite both hope to paint one of the Lincoln Knights. Photo: Steve Smailes for The Lincolnite. Peter Segasby, who painted a baron last year hopes to paint a knight in a style that reflects the 1800s. Artists’ designs must be submitted to Lincoln BIG by 4pm on Friday, October 14.